The sun is getting warmer and Spring is definitely on its way! If you are having a summer marquee wedding you will most likely be very busy planning everything from your dress, to the caterers, the entertainment and not forgetting the decorations. The beauty of choosing a marquee is that you can get creative with your decorations and bring your own style to a blank canvas. One area where you can really let your imagination run wild is with the flowers you choose to hang, drape or arrange throughout your venue. 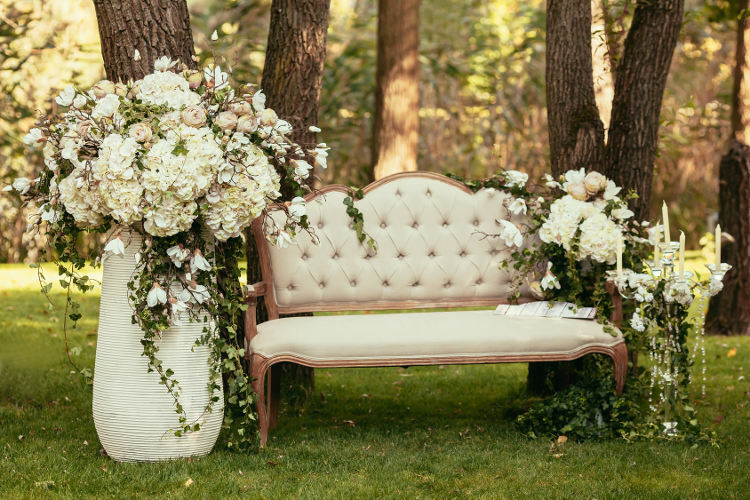 When it comes to flowers, greenery was last year’s top colour and many weddings were lavishly decorated in green foliage. 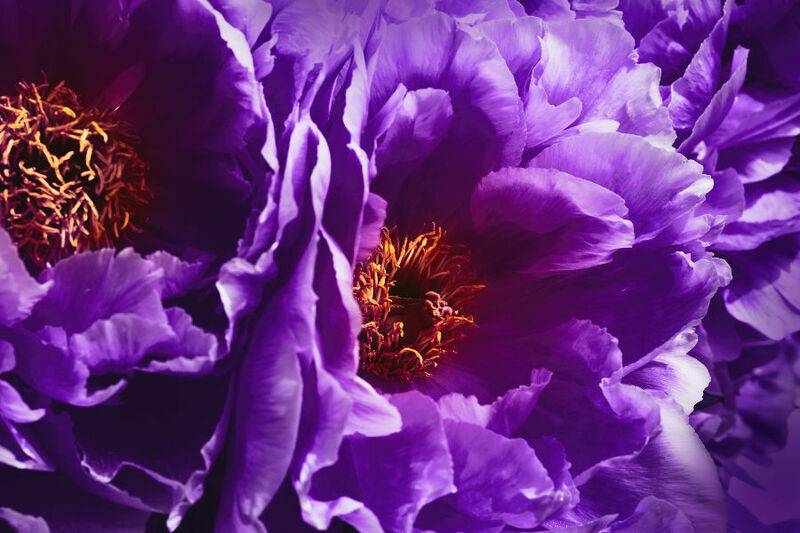 This year vivid Ultra Violet is the colour to go for if you want your wedding flowers to be bag on trend. Having a marquee wedding offers the wonderful opportunity to draw inspiration from the surrounding grounds and bring elements of the outside into your reception space. Picking wedding colours and floral displays to compliment external planting schemes, will create the illusion of a bigger space and tie the two separate areas together. Just remember when planning your scheme to think about what will be in bloom during the month of your wedding. Likewise, if you’ve got a marquee in a stunning setting, why not make the most of the grounds by creating a magical space that’s dressed to meet your theme. Living walls are another big trend when it comes to wedding flowers this year and look fabulous as as backdrop to seating areas, or the top table. Choosing one of our glass marquees your venue will be surrounded by living walls! Succulents are proving to continue their success from being massive in interior design in 2017. This year they will be very popular as wedding decorations too, either in arrangements with complimentary flowers, or on their own. 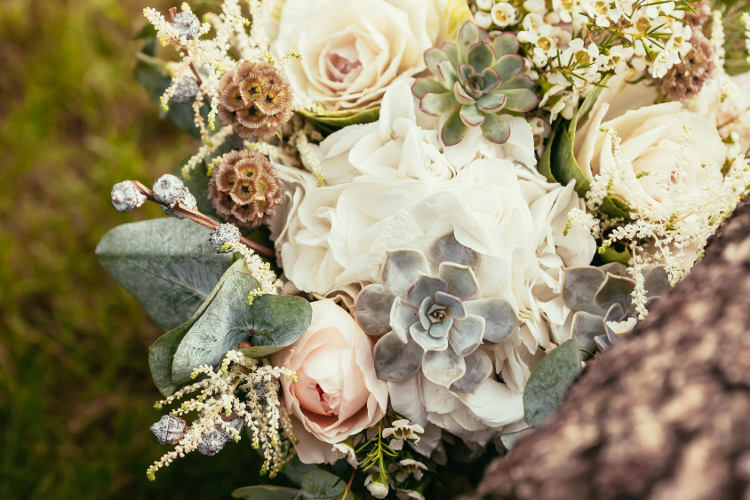 Succulents will also make brilliant wedding favours that can be handed out at the end of the day. One of our favourites, the darling Dahlia, is making a come back to the wedding flower scene. This is good news if you are looking to source your flowers locally from Britain. Dahlias are in season from May to November and if your wedding fits in their growing season, you are onto a winner! Whatever flower trend of the year takes your fancy, the most important thing is to create a day that is personal to you. Your marquee offers the opportunity to decorate without limitations so that you can create the most wonderful wedding day to remember for many years to come. Flowers play such an important part through out your wedding day and many Brides and Grooms end up stressing about their flower displays. We work closely with many local wedding suppliers and can help you in choosing the right florist for you. Should you be planning your own wedding, Marquees and Pavilions can help. We offer a wide range of wedding marquees that can be configured to suit any type of venue. For more information about hiring one of our marquees please feel free to drop us a line with your requirements or call 01844 208 371 to request a free quote.